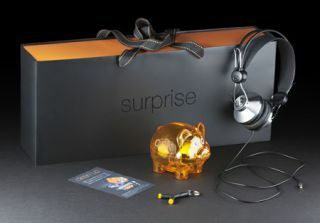 Orange offers pay-as-you-go mobile customers free Angle & Curve headphones | What Hi-Fi? Here's a Christmas offer from mobile operator Orange that might grab your fancy. It's offering new or upgrading pay-as-you-go customers who buy a new phone for £30 or more a free gift pack including a pair of £60 Angle & Curve headphones. PAYG phones qualifying for the offer include the Orange RIO, Orange San Francisco, Orange Stockholm and Samsung Galaxy Mini. The deal runs until December 24th.